It’s a small, handheld, digital device that resembles a computer mouse but can measure a range of biological markers, including circulating tumor DNA (ctDNA) from blood and urine. Sounds a bit like science fiction, but in April of this year, Two Pore Guys (2PG) raised $24 million to help further develop this product, their Molecular Meter. 2PG’s nanopore-based, single-molecule platform is one of a wave of next-generation technologies revolutionizing point-of-care (POC) testing. 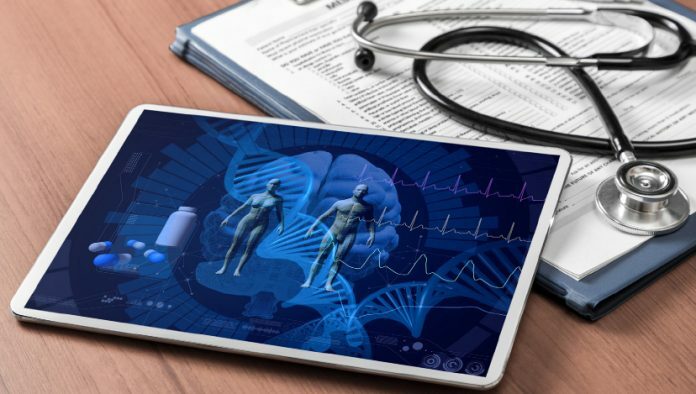 These new technologies extend the breadth of highly accurate tests that can be done anywhere a patient receives care, including in their own home. Critically, most of these tests automatically transmit data to a doctor’s office, a cloud-based account, or wherever else the information is needed. That’s pivotal, because getting test results to the doctors, and making sure the results are stored for future use, are typically hurdles when testing is conducted in settings outside a central lab. POC testing has long been central to providing fast diagnosis in the care setting, but there testing has not traditionally broken significant new ground. Now, the field is rising from the shadows and taking a more central role as the care settings offering these tests expands and the focus on value-based care intensifies. The goal is cheaper, simpler more reliable tests, as well as the ability to address more conditions with technology that can provide accurate results in a wider range of settings. These factors are expected to drive the POC market to almost $37 billion by 2021, according to Markets and Markets. Omics-based tests will play a prominent role in that growth, accounting for about 10% of that market. Growth will be particularly high for omics-based tests targeting infectious diseases and cancer. The key challenge is designing tests that can be accurate in virtually anyone’s hands, sometimes including those of the patients themselves. And new technologies are allowing the development of more and more such devices. POC testing is already being offered in a range of settings besides hospitals and doctors’ offices, including retail clinics, nursing homes, and urgent care facilities. Nurse practitioners and physician’s assistants are more often administering these tests. And while there is relatively little home testing yet, significant investments are now being made in developing these products as well. 2PG’s testing system is usable for POC or home testing. “The device is capable of detecting any molecule,” says CEO Dan Heller. That includes proteins, DNA, and RNA. It can also be used for multiplex analyses. The technology is based on a novel nanopore approach using silicon chips, some proprietary biochemistry, and standard reagents. The silicon nanopore sensor is digital and measures an electrical current. The signal is quantified to provide a test result and those data are wirelessly transmitted to authorized IT systems, including on the cloud. The company already has multiple research partners, but most of the company’s collaborators haven’t been announced. Monsanto is 2PG’s first publically announced collaborator. The agricultural giant is testing the system for detecting biomolecules in crops pests, and pathogens.